The week of 19-23 November was a big one for our new RAS PTA group. On Wednesday 21 November, Cameron Kay organised a First Aid Course event supported by Nenya Chapman. We had 7 people do the workshop learning everything from what to do when you arrive on the scene of an accident through to practicing CPR. Due to the success of the event with the support of Nenya Chapman we will look to organise another event next year. Dates and times to be confirmed. Thankfully, the sun came out for the RAS Interschools Cricket Gala on Friday 23 November and a fun day was had by all. The PTA set up a food/christmas present stall and sold nachos, dizzy blocks, popcorn, baking and Real Good fundraising products. In total we raised $809.53 from the two events! We are very happy with this as a first effort. A total of $180.00 has also been collected from the voluntary contributions to RAS invoices, just from the Yrs 0-8 cohort! All of this money will be saved in the RAS PTA bank account and we will be discussing and prioritising where all PTA raised money goes in 2019 with the new principal, Louisa Barham. Raglan Four Square – Satnam, who donated many ingredients for our nachos. Top Cut Butchery – Ricky, who supplied mince for our meat nachos. 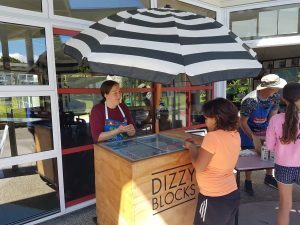 Maree from Dizzy Blocks – for all her advice, Dizzy Blocks and food containers; we couldn’t have done this without her. Nenya Chapman – for running the First Aid Course and donating 50% of the profit to our group. Sweet As Popcorn for donating all the popcorn for us to sell. For the Better Good water – for selling us their great product cheap and covering the delivery cost. Inger Kite for organising the sponsorship and the shopping! Bakers; Renee Hetherington, Anastasia Gavin, Abby Smith-Fisher, Honey Armstrong, Ginny Watt, Inger Kite, Genevieve Amy, Vicki Greetis, Jesse Galloway and Kay Warren. Nacho sauce makers; Kay Warren, Jasmine Edgar, Zoe Carter, Ash Hanson and Peta Sargent. On the day helpers – Cam, Tahi, Peta, Ash, Joe and Jasmine. Students, parents and teachers incl. Western cluster schools, who all supported us by buying nachos/baking or products on the day. 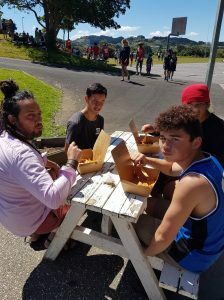 Aroha Hohepa – who made the suggestion and helped us with some of the planning. Hinemoa Rossi, Karen Clark and Sue Millward in the office – who continue to support us. Apologies to anyone we have missed. We are so grateful to every person who contributed. We also want to send a big thank you to each person in the RAS PTA group who has put in lots of time and effort to get these first two events and new group off the ground – Inger, Tahi, Cameron, TJ, Peta, Ash, Kay, Gen and Tara. Our vision is big and we are on our way to being able to support our school with regular fundraising and parent support. How can you get involved/help? 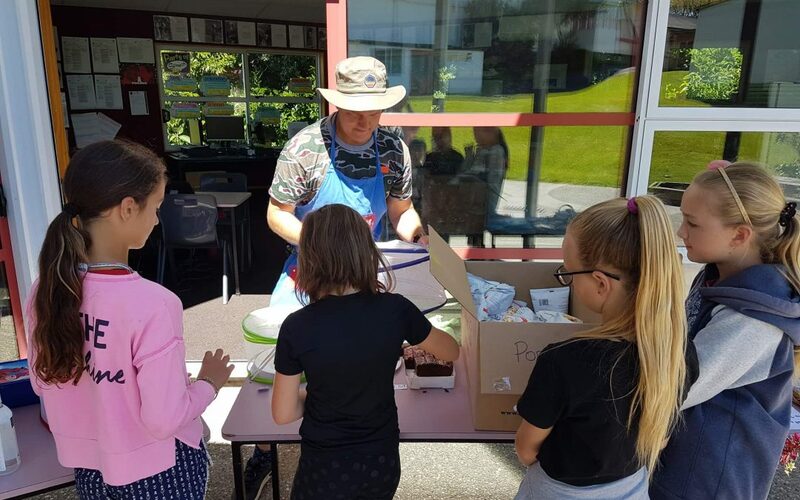 Parents/ Raglan Businesses – We will need more support in 2019. We’re hoping that different parents/people/businesses will get involved when they can to help take some pressure off the regular PTA members and to provide sponsorship. If we all do a little bit together, we will achieve a LOT. We still have a lot of Real Good Products for sale that would make fantastic Christmas presents, we will be selling these in the lead up to Christmas so please keep an eye out for these. These include; Seed Bombs, Reusable Takeaway Cups, Reusable Food Pouches, Raspberry Love Heart Soaps. All environmentally friendly so please get in touch if you’d like to purchase some: pta@raglanarea.school.nz.